1 pretty frock, 2 holiday party looks. Head on over to the Fringe & Lace blog to see today's MidWeek MixUp! Which MidWeek MixUp look do you prefer? Velvet blazer + OTK boots? Or polished coat + patent pumps? What a gorgeous dress! It looks stunning against that red coat! Black, white, and red......love this look!! I haven't been to one fancy holiday party yet this month. Crazy!!! I think it's the year for the casual party over here. I need to change that next year! Such a pretty dress. I love it with the red coat to keep the classic red, black, and white going. You look beautiful! Pretty! 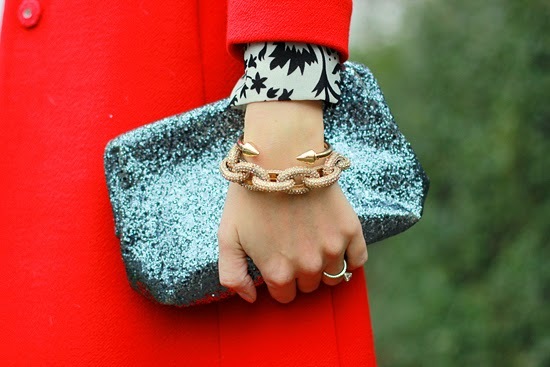 Love the pops of red - especially the necklace! You are in California or the south huh? Now way would I be posing in a dress in my Utah winter months. no way. ♥ You are so pretty. This is a great ensemble; I love the tights, too. 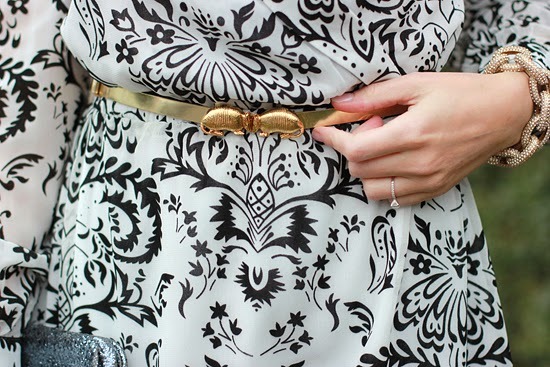 This is such a fun little belt Jessica! Love this outfit. You look amazing in this bright red color! one of my fave color combos of all=black, white and RED. love this. The patten on that dress is amazing. Very vintage looking. Great fit too. Ah I love this dress and amazing coat!!! Both looks are great but I am gravitating more on with the red jacket. I just love the color combo! you look so lovely, lady! LOVE this look! The dress really pops underneath the coat! Love both of your holiday looks Jessica! Your red coat is so cheery and compliments the colours of the season so wonderfully! 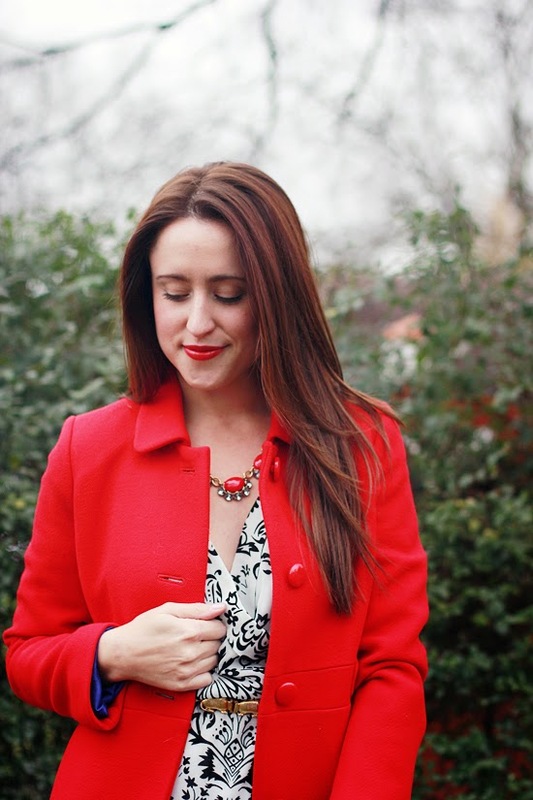 I absolutely love my Metro Coat from J.Crew, it's such a winter staple! You look so festive and classy! Perfect holiday look! Both are beautiful looks but I think I like this one better! The red pops and the clutch is so sparkly. Great versatile dress!